A restaurant in the evening and popular socializing venue by night, if you're in the mood for fine drinks and seafood, look no further than Musslan. An upscale bar, their menu offers many selections from the sea and beyond, plus classic drinks like martinis, manhattans and stingers. After 11, it turns into a nightclub (minus dancing), though DJs spin and the air is lively well into the night. 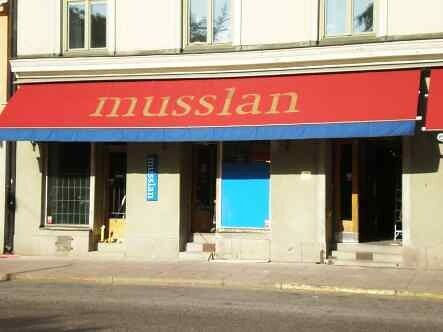 See www.musslan.se for more information.